The seafood chowder prepared in a Vancouver restaurant kitchen was “unfit for human consumption,” according to an inspection report prepared after a rat was allegedly found in a customer’s bread bowl. Cockroaches, mouse droppings and other rodent excrement were all visible when Vancouver Coastal Health inspectors visited the commercial commissary kitchen at Mamie Taylor’s restaurant on Dec. 28, 2018, according to a report obtained through a Freedom of Information (FOI) request. 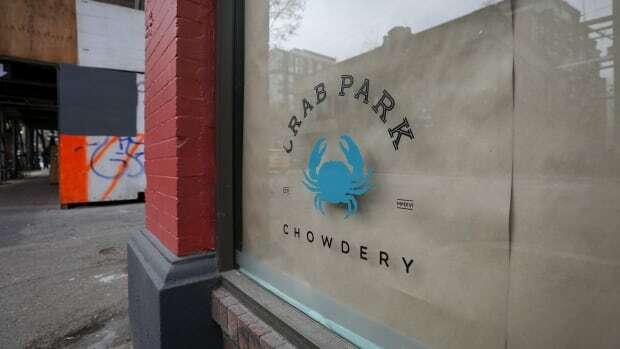 At the time, Crab Park Chowdery was renting the basement space to prepare its chowder, but the kitchen is no longer being used to prepare food. “General sanitation was poor,” inspector Karen Rehbein writes of the kitchen. She notes that 10-litre plastic tubs of chowder were placed into a walk-in cooler once they were taken off the stove. “At the time of inspection, the chowders in the walk-in cooler were NOT covered,” Rehbein wrote. The health authority ordered the inspection after a diner at Crab Park Chowdery posted a video on Instagram that showed what appeared to be a dead rat in her meal. The post caused a social media uproar and resulted in numerous complaints from the public. The two inspectors who accompanied Phillips to Mamie Taylor’s noted that there was no hand-washing sink in the base kitchen area, and one of the prep tables was placed directly below a sewer line. Fixtures in the washroom weren’t operating. The health authority shut down Mamie Taylor’s and its commercial kitchen after the inspection. The restaurant was allowed to reopen the next day, after staff made the necessary improvements. As a result of the rat incident, Mamie Taylor’s announced it was severing ties with Crab Park Chowdery and would no longer rent out the basement kitchen to other restaurants. Mamie Taylor’s owner, Ron Oliver, told CBC that all of the problems in the Dec. 28 report have been rectified. “Without tenants, without any use of the space that isn’t storage, we’re able to keep a much tighter control on what’s happening in the space that formerly housed the commissary,” he said. He added that the restaurant has been inspected twice since the December incident and has passed both times. Meanwhile, Crab Park Chowdery announced it was closing for good in January.